Gardening supply company Yates has launched a new multi-platform app providing gardening pros and enthusiasts with everything they need to design, grow and manage their perfect garden. 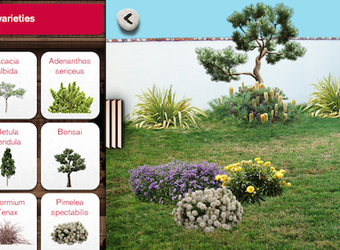 It features an augmented reality garden visualiser with a wide selection of virtual plants. The app steps the user through each stage of the garden life cycle: finding inspiration, designing, planning, planting, growing, managing and solving pesky problems that stop the garden from thriving. The app is available to use across iPhone, iPad and Android, and is integrated with social media, the Yates website and its popular Garden Club community.